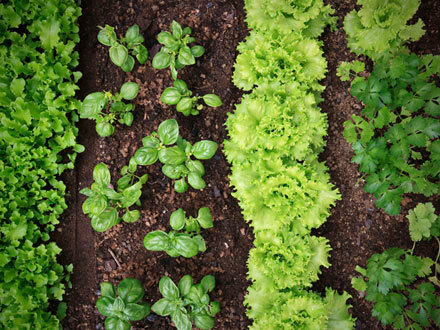 The month of May is a great time to think about getting your garden going. But the key to success is planing the right plants at the right time of year to avoid any kind of frost damage and to make sure there is enough time to grow your crop. Here is a list below of great plants to start your late Spring early Summer garden. Beans: Planting both bush and pole beans now that the soil and air are warmed up. Beets: Sow beets now for a fast, early summer treat. when cabbage head begins to form. Carrots: Plant carrots by mid-July a crop that will stay in the garden until used. Corn: Most rewarding and fast growing crops to grow. Do a small plot of corn, working your way to a large field of several varieties. Cucumbers: Fast growing vine or bush cucumber plants can produce an abundance of cucumber fruits. Herbs: Plant heat loving herbs like basil, oregano, thyme and sage. Melons: Melons are some of the most rewarding plants to grow. Summer Squash: Summer squash sowing in June will lead to fresh squash and zucchini in July and August. Tomatoes: Tomatoes come in many colors, shapes, taste, and sizes. Great plant to grow in May.